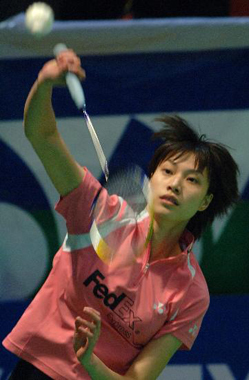 Xie Xingfang is a female badminton player from the People's Republic of China. 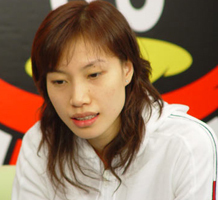 Her first big title was won in the woman double event, with her provincial team mate Zhang Jiewen, in the world junior championships in 1998. 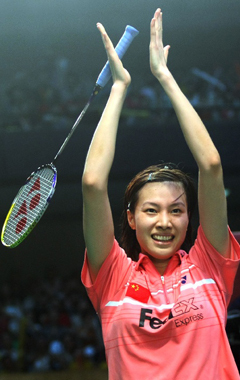 Zhou Mi and Zhang Ning, and the following one, which is now filled with impressive talents amongst which Wang Lin, 17, who just won the China Open. Xie is currently in a relationship with fellow Chinese badminton player Lin Dan. 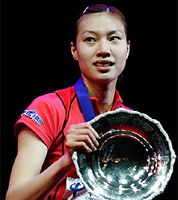 Xie Xingfang and Lin Dan made a romantic moment when both together won the World Championship 2006 in Madrid.